This chilly and relaxed morning was more than just Columbus Day for the varsity girls tennis team. 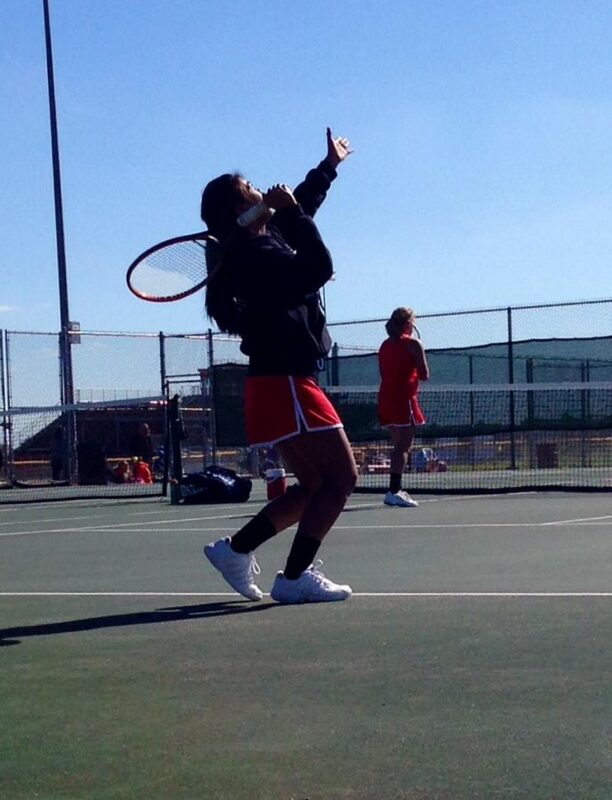 It was the Spirit of the Northwest tournament as well, held at the HHS tennis courts at 9:00 a.m.
Expectations were high for the varsity girls tennis team, and their confidence was through the roof. The HHS varsity girls tennis team had won this tournament before, and they delivered yet again. Huntley came in first place in second doubles against Rockford Lutheran High School, and in third doubles against Wauconda High School. Huntley’s first doubles team came in second place against Rockford Lutheran. Huntley came in first place for second singles, defeating Johnsburg High School. Varsity girls tennis fell short in first singles though, coming in second place against Johnsburg. On their way to the tournament victory, Huntley defeated Grant, Johnsburg, Marengo, Rockford Lutheran, and Wauconda.